With 17 standard colors available for steel roofing, sliding, and trim, you shouldn’t have any difficulty deciding on the statement you want the exterior of your Miracle Truss® building to make. Many customers choose to go with a two-color option. This is especially helpful in helping to break up the large expanse that a big building with few exterior features presents. The question then becomes, which two colors should you choose? 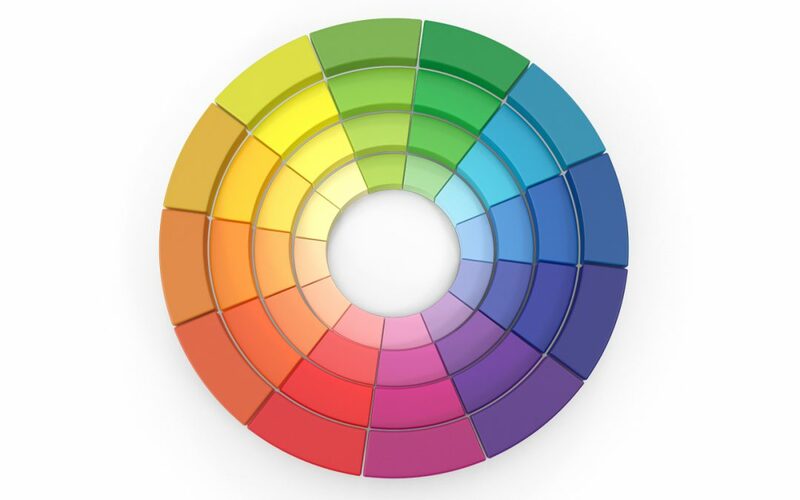 Experts in design will tell you it’s time to consult a standard color wheel and select what are known as complimentary colors. It turns out that there’s a scientific reason why these color pairs work out so well. We offer 17 color options. They’re variations of the six main colors the human eye can see, and here they are with their optimal compliment. Orange, which pairs best with Blue. But why is it that the majority of us prefer these color pairings? We like to see these colors together because the photoreceptor cells in our eyes which contribute to color vision – known as cones – are not all the same. Certain types perceive certain colors of light. Are you ready for a quick science experiment? If you focus for a while on a solid block of color and then look at a white wall or sheet of paper, you’ll see what’s known as an afterimage – and it will be the opposite or complimentary color of the one you had focused on. Let’s say that color you kept your focus on was blue. After a period of time, the cones in your eye that process blue light become fatigued. The signal they send to your brain will get slightly weaker. As a result, this part of your visual spectrum is suppressed. Afterwards, when you look at a white wall or white piece of paper, you’ll see a slight orange afterimage. What you’re really seeing is the white spectrum of light, with a small amount of blue subtracted – which your brain will process as orange. What does this mean? Color experts say it demonstrates that combinations of complimentary colors enforce each other’s intensity. So, our Regal Blue metal color paired with our Copper Penny would be a good choice. Grab a color wheel and try it for yourself. Then mix and match from our selection as you plan exterior choices for your Miracle Truss® building. Get a free quote by filling out this form.